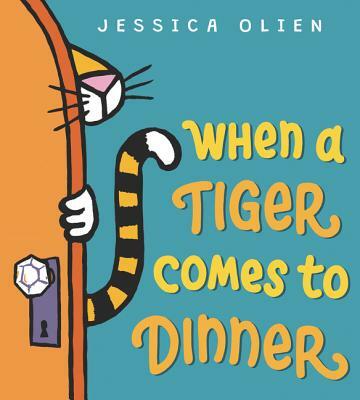 A funny interactive picture book that's great for reading aloud. Perfect for fans of Don't Let the Pigeon Drive the Bus. A tiger is coming to dinner! Are you ready? Luckily, this book can help. Ask yourself, do tigers . . .
Like to play a rousing game of Go Fish? Prefer peanut butter and jelly? Whatever you do, be sure to practice your ROAR! for when the tiger arrives! Jessica Olien is a writer, illustrator, and native midwesterner now living in Brooklyn. Her cartoons have been published by the New Yorker and her writing for grown-ups has been published in Slate, the Atlantic, McSweeney’s, Marie Claire, and many others. She is the author and illustrator of Shark Detective!, The Blobfish Book, Adrift, Right Now, and When a Tiger Comes to Dinner. Visit her at www.jessicaolien.com. Juvenile Fiction / Animals / Lions, Tigers, Leopards, etc.